After upgrading my Macbook Pro to Yosemite, the volume icon at the top right is greyed out and sound does not work. This can be caused by the default sound settings being changed. 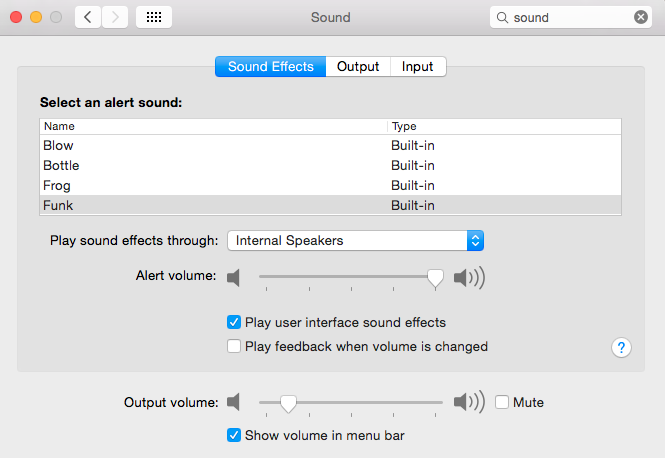 If you go to System Preferences --> Sound --> "Sound Effects" you will see a pull down list labeled Play sound effects through... On my machine there was the following listed: Internal Speakers and my monitor. I had to open Sound Preferences, change to Output tab, and select "Internal Speakers". I had the same problem. It turned out that I had my external screen plugged in while I ran the update so the sound was defaulting to HDMI out rather than internal sound or bluetooth. Went to sound preferences, changed it and it worked. in Terminal for a temporary fix. Not the answer you're looking for? Browse other questions tagged audio yosemite . Why is my MacBook Pro stuck on mute? Why is my MacBook visibile on Bluetooth after Yosemite install? My volume icon disappeared after I updated to Yosemite. How to restore the Mavericks version of the sound effect for the volume button for Yosemite? Issues with the softwareupdated daemon after upgrading to Yosemite? 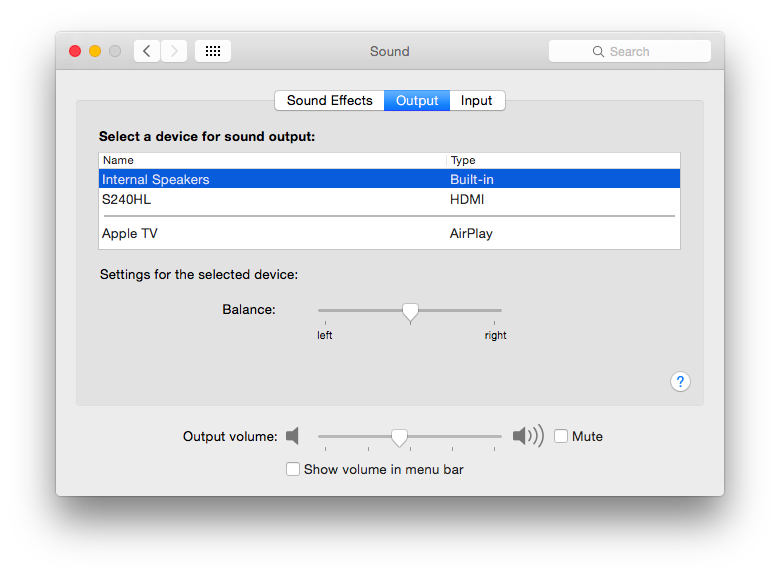 mac book pro headphones not working even with the correct sound settings .